My son is a lot like me. Not only does he look like me physically; he has inherited my fear of failure, pressure to perform, and tendency to become anxious. I’ve often joked that I feel like I am parenting myself, and that God must have given me such a child so He can teach me the lessons I still need to learn as an adult. So… you would think I’d be able to help my kiddo with some of his biggest struggles. But one particular morning last week, as he spiraled into self-defeating thoughts and discouragement, my words failed to reach him. I suggested a whole host of things he might do to get past this. I empathized with his feelings. I even quoted Scripture. Nothing helped. Then, I finally sent him off to his room to pray. As he was walking away, the light suddenly went on in my brain. Of course! That should have been my first resort, not my last. I certainly don’t have all the answers, but I can lead my children to the One who does. Our kids have so many needs and questions that require answers and intervention, and we often feel helpless or guilty that we can’t always provide them. But they should not be relying solely on us; they should be relying on God. Prayer brings God’s power and blessing to your children’s lives. It is one of the best ways we can parent! Who doesn’t want an obedient, well-mannered child? As moms we tend to nag and control though, to produce this outcome. The Bible says we shouldn’t exasperate our children (Colossians 3:21) or provoke our children to wrath (Ephesians 6:4). It’s tempting to step in and assume the role of the Holy Spirit, but that is not our job. 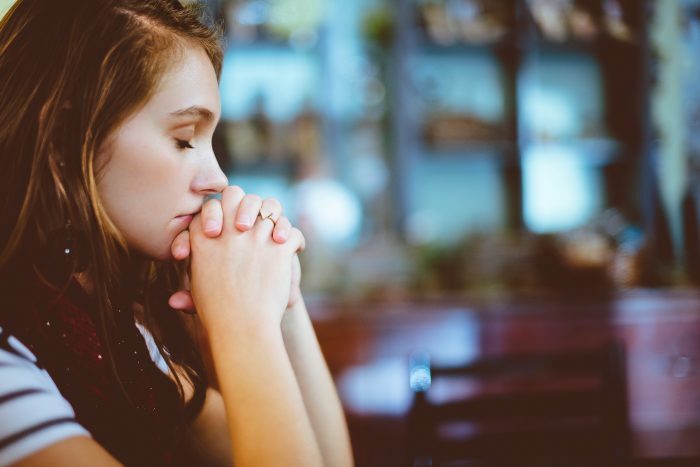 Obviously, God holds us accountable for the authority He has given us and calls parents to protect their children from the ruin of an undisciplined life. But discipline plus prayer has so much more of an impact than just discipline alone. 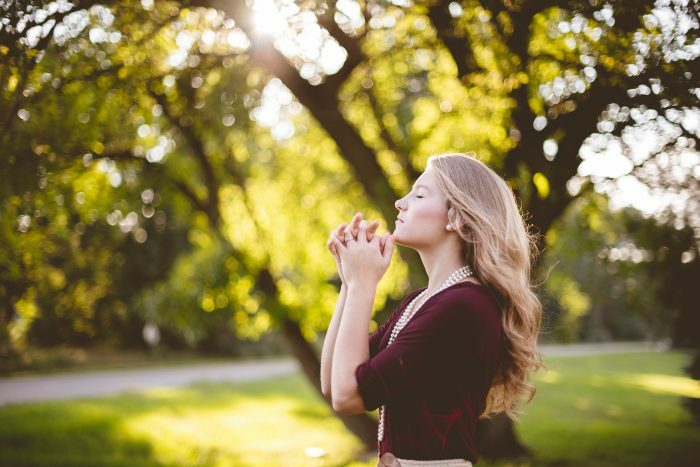 Prayer can move our kids’ hearts to change and lead them to genuine, godly repentance. Ultimately, we desire kids who want to obey, rather than ones who are simply modifying their behavior to avoid unpleasant consequences. Even though it’s good and right to shelter my children from harmful influences as much as possible, I simply can’t be present for every single moment. Even when I am there, I have lapses in judgment and am limited in my own power to stop certain things from happening. But God is both omnipresent and omniscient. Besides praying for physical protection, we can also pray that God will guard our kids’ hearts, minds, and purity. We can pray as Jesus did in John 17:15 that they be kept from the evil one. We can pray they will be totally suited with the armor of God for spiritual battle. We may be unable to reach our kids because of distance or because we simply don’t have the right words, but we do have a direct line of communication to the One who is also omnipotent. It doesn’t mean we deliberately put our children in harm’s way and make unwise decisions, but we trust in God’s cover of protection more than our own limited power. Hopefully we’ve given them a strong foundation to stand on to make wise choices, but there comes a time when our kids have to personally apply that knowledge to their own situations. As much as we’d like to, we can’t hold their hand through every circumstance. They’ll have to make their own choices about the types of media they consume, how to treat others, how to use their time, which advice to take, which people to be friends with, what situations to avoid, and whether or not to trust someone they’re not sure about. As hard as it is, we must pray for our children that they will be caught when they’re guilty. In Psalm 119:71, David said that God’s correction and discipline were the best things that could have happened to him, because they taught him to pay attention to God’s laws. It’s frightening to ask God to bring to light anything in our children’s lives that is in darkness. But if those things done in secret are exposed, they can be dealt with and our kids can then be freed from them. This will prevent a lot of heartache for them later when they’re older and struggling with sins that have become deeply entrenched. And the answers to these prayers can convey a strong sense of God’s reality and personal care for our kids. As they come to understand that God, in His love, stops them in their sin before it takes hold, they feel His protection and presence keenly. It can difficult to maintain the proper balance between what is our part, our child’s part, and God’s part. Our job as mothers is to lead our children to Christ, but they need to take responsibility for their own spiritual walk. When our children truly seek the Lord through reading His Word and in their own prayers, they draw closer to Him. By treasuring God’s commands, they keep their way pure. When our kids love Jesus, they won’t just be borrowing our faith; they’ll have their very own to stand on when times are difficult. It is so important to regularly bathe our children in prayer, interceding on their behalf. As their moms, we can fight the spiritual battle for their hearts and minds on our knees! And praying for our kids is not only for their benefit, but ours as well. I can seek God in prayer to receive answers about how I can help my kids when I’m at a loss for what to do. After all, He knows each one intimately and can therefore help me discover their needs and how to train them as He intends. He says to us, “Call to Me, and I will answer you, and I will tell you great and mighty things, which you do not know” (Jeremiah 33:3). Prayer ultimately takes the pressure off of us to do and be all things for our children, because it redirects our focus onto Jesus. We stop being afraid of the future and obsessing over every little thing we said or did in the course of a day. God overrides all chaos and circumstances and quietly speaks to our child’s heart in a way that we never could. Thank you for this great reminder to pray and this powerful prayers. I pray for my children’s protection every day. Amen! Daily, I pray daily for my girls to hear His voice above all the other voices out there. Love these! I love this. I’m going to save it for the future, no kids yet, but I already pray for our future family. This is such a great list! I often get overwhelmed with all the things parenting brings, but I am so thankful that we can turn out kids to The Lord. This was so good…it’s the things we know to do but somehow tend to let them go somehow. I’m constantly praying for protection over them but I desire to add these others in just as much. Absolutely love this, and the reminder to pray without ceasing over my precious children! There is certainly power in prayer! Loved this post and very helpful. 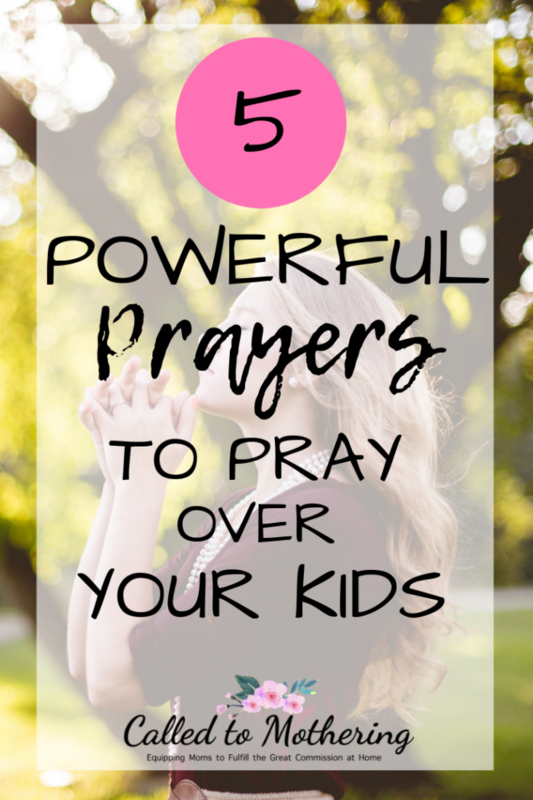 I’m writing a post on praying over my kids. Can I link back to you? A fellow Jersey transplant to the south.